The 1991 production of Secret Love for the Peach Blossom Land was Performance Workshop's first revival of its own work. Sold out for every performance in its initial 1986 run, the new production created an even greater demand for tickets, due to the addition to the cast of Mandarin film superstar Bridgette Ling (Ling Ching-hsia) in the role of Yun Zhifan. Among the audience at the National Theatre were President Lee Teng-hui and his cabinet. This production also toured internationally, with performances in New York, San Francisco, Los Angeles and Hong Kong. In New York, the performance was acclaimed as “the pinnacle of contemporary Chinese theatrical art.” Director Stan Lai assembled the cast for this revival with the purpose of using the same cast for the subsequent film production of the same work, which was seen at international film festivals under the name The Peach Blossom Land. The Peach Blossom Land premiered in 1986, was revived in 1991 and made into a feature film in 1992. The premiere was a landmark event in Taiwan’s developing modern theater movement, challenging audiences with its formal complexity, while welcoming them with its congeniality. Special 20th anniversary edition of the Secret Love in Peach Blossom Land is honored to invite Ming Hwa Yuan, a well-known Taiwanese opera troupe. The combination between stage play and Taiwanese opera is another innovation of modern theater in Taiwan. The play will then, indeed, depict two troupes, one rehearsing " Secret Love," the other "The Peach Blossom Land," who are forced to share a stage due to confusion about their rehearsal time. Their point joint performance on the stage creates the effect of "a show inside a show." Two different fields of performing arts performed together on stage, yet the production kept each form's originality. Two special performances on 11/12 and 11/13 at Taipei Arena breaks three more records of Chinese theater world: 1) The 100th run of Secret Love in Peach Blossom Land! 2) 1 million of audience members! 3) First performing group to perform at Taipei Arena. Secret Love for the Peach Blossom Land, Performance Workshop’s second work, was an immediate critical and popular success. Two theatee groups are mistakenly booked into the same theatwe for a dress rehearsal. 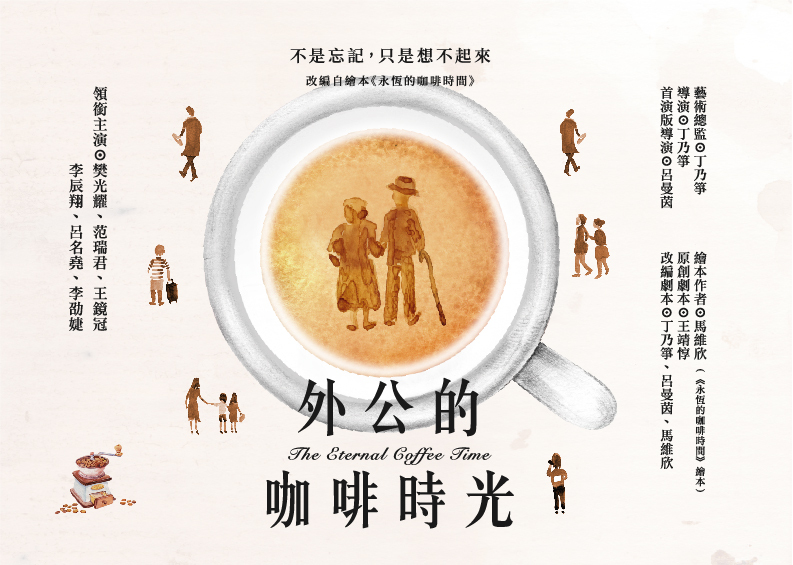 One is to perform a melancholy contemporary play ”Secret Love,” about an elderly Taipei man’s yearning for his first love in Shanghai before the communist takeover. The other is rehearsing a farcical period costume ”Peach Blossom Spring,” based on the classic Chinese Utopian text “A Record of the Peach Blossom Spring.” As the two groups struggle for control of the stage, the two plays unfold in fragments. Slowly the tragic and comic, the contemporary and the classical, begin to interact, and seemingly opposite themes and performance styles blend to form new meanings, particularly in reference to Taiwan's attitudes toward the Chinese mainland, and the universal yearning for a “Peach Blossom Land.”. Created collectively through structured improvisational rehearsals directed by Stan Lai, Secret Love for the Peach Blossom Land makes references to Peking Opera acting, classical literature and modern Chinese fiction, and has been acclaimed as a theatrical tour de force. Critic Liu Guang-neng hailed the work for its ”incredibly intricate structure” with ”deep layers of meaning” for the contemporary Chinese situation. The cast was a “who’s who” of contemporary Taiwan theatre, including Chin Shih-chieh, Lee Li-chun and Ku Pao-ming, who went on directly to star in Edward Yang’s film The Terrorizers, Liu Ching-ming, who went on to found the U Theatre Group, Yu An-sun, who had starred in Hou Hsiao-hsien’s The Time to Live and the Time to Die, the poet Kuan Kuan, and director Lai’s wife Nai-chu Ding, who also produced. The play has been collected in An Oxford Anthology of Contemporary Chinese Drama(1997), under the title Pining…in Peach Blossom Land. It was also made into a successful film version directed by Stan Lai that won several prizes at international film festivals under the name The Peach Blossom Land.